Last year, the Associated Press reports exposed that U.S soldiers massacred Korean civilians during the Korean War and the most documented of these killing happen in Nogunri. It is well known that Korean soldiers participated in Vietnam war from 1963 to 1973. Recently, a Korean newspaper exposed that Korean soldiers had massacred innocent vietnamese civilians. 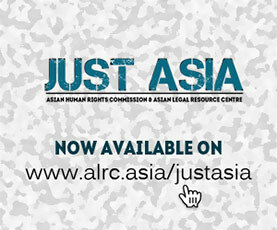 The Asian Human Rights Commission supports the initiative of the Peace Committee of Korean House for International Solidarity (KHIS] in this appeal to seek justice for victims of war crimes. civilians by Korean soldiers in Vietnam war was given in an article of the Korean weekly magazine Hankyoreh 21, titled \”Remember Vietnam’s Soul\”. Currently, discussion of these massacres has become a prominent issue in the Vietnamese media. massacres yet and the mental anguish of the survivors have had serious and had lasting effects. activities, they have asked Vietnamese pardon of past crimes committed by Korean soldiers. Nonetheless,the Korean government has avoided addressing this matter at all. \”Nogunri massacre\” during the Korean War and \”Vietnamese Civilians Massacre\” during the Vietnam War are representative cases of the twentieth century in which Korea was at one time a victim, and at another, an oppressor. * issue a public apology to the Vietnamese victims of the massacres. Place your name and Organistion, endorsing the statement below and send it to KHIS. The statemen will be published in the Hankyoreh Newspaper with the list of supporters. We ask that you make an inquiry to establish the facts concerning the \”Vietnamese Civilian Massacre\” by Korean soldiers and make a public apology for these incidents to the Vietnamese people. upright courage to uncover the facts of the case. Even during the passing from one millenium to the next, the truth of these tragic massacres cannot be suppressed. 1. Establish the facts of the case. Soldiers who took part in the the war have suggested that first of all, the real facts of the massacre should be revealed. We have agree with this. The Korean government should establish a joint inquiry commission with the Vietnam government. 2. If the recent reports prove to be well-founded, the Korean government should apologize publicly to the Vietnam government and the people by accepting responsibility for the occurrence of the massacres. 3. The Korean government should give recompensation and to the survivors of the massacres. 4. The Korean government should compensate the Korean soldiers who were forced to commit these inhumane acts and have since been suffering from the guilty consciences until now. 5. Please, provide financial support for inquiry into the real events of the massacre.